701 Center for Contemporary Art in Columbia is South Carolina’s newest art destination for artists and art lovers alike. 701 Center for Contemporary Art (701 CCA) is a visual art center that promotes understanding, appreciation and enjoyment of contemporary art, the creative process and the role of art and artists in the community. 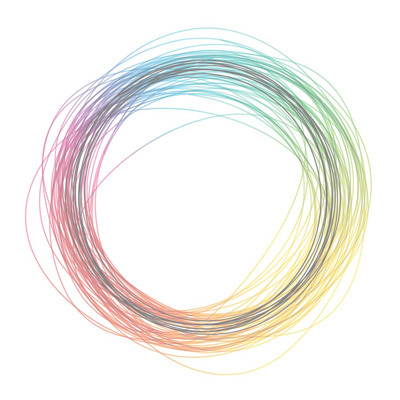 The center also encourages interaction between visual arts and other art forms. 701 CCA offers: Exhibitions with a regional, national or international scope in the center’s 2,500 square-foot gallery An artist-in-residence program in a 1,200-square-foot live/work unit, where artists can concentrate fully on creating art during six, ten or twelve-week residencies The 701 CCA Plus program at the gallery, in between exhibitions, for performing, literary and media arts Educational programs for adults and children, including workshops, lectures, open studios, panel discussions, group tours, school presentations, etc. Located in the former community center in Olympia, an historic mill village, all exhibitions and residencies during 701 CCA’s inaugural year have engaged the legacy and materials of the textile industry, mill villages and mill workers. 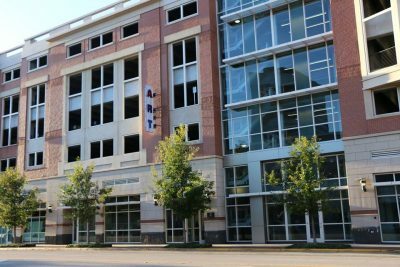 The Art Center provides a hub for residents to explore various forms of visual arts. Classes are provided for adults and children in pottery, painting, drawing, as well as more traditional arts (folk art) such as needle felting, spinning, wet felting and others. Open Studio is available for people to work with clay at their own schedule. 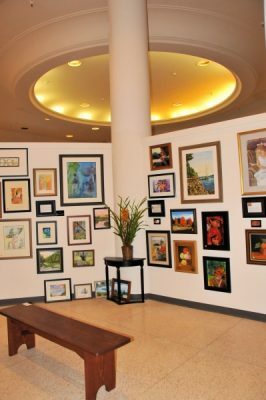 Art gallery specializing in contemporary original art over three seperate gallery spaces in an historic Congaree Vista former warehouse building. Also freaturing art classes, a full line professional art supply store and custom frame shop. Visit City Art on Facebook. The CMFA ArtSpace is a unique performance and rehearsal facility in the Congaree Vista. 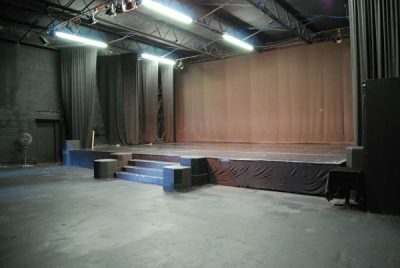 There are two multi-use studios with spring floors and mirrors as well as a Black Box Theatre space (with stage) that can seat 85 people or 150 standing room. The ArtSpace hosts over 22,000 visitors each season with performances, masterclasses, and academy programs as well as hosting national audition tours. The adaptable space has been used for activities as diverse as art shows and installations to opera and dance programs as well as cabaret programs. Visit CMFA on Facebook. Columbia Art Center is a facility operated by the City of Columbia Parks and Recreation. This facility is a state of the art facility with the capacity to offer not only Open Studio but also multiple classes consecutively. 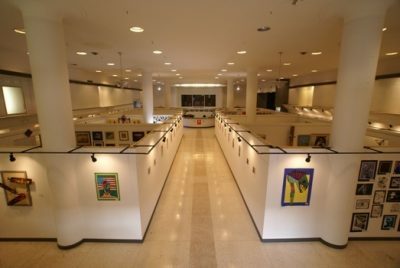 As part of this facility there is a full retail gallery which allows studio members, instructors and others associated with the Columbia Art Center to sell their work. There are multiple programs provided at this location including Open Studio as well as classes for adults and children. In addition to pottery, opportunities are provided to learn about other arts including but not limited to basket weaving, jewelry making, book binding, painting, drawing, sewing and other arts of interest to the community. Outreach programs such as Creative Journey and Operation Bedroll are operated out of this facility also. etc.studio / gallery of art is composed of eight artists from Columbia and Chapin who create art in various media – mostly in oil, watercolor, acrylic and photography Featured artists are JJ Casey, Brenda Hancock, Jean S. Kirkley, Karen Larrabee, Rajas S. Londhe,Ann V. Peake, Pam Steude and Barbara Yongue. 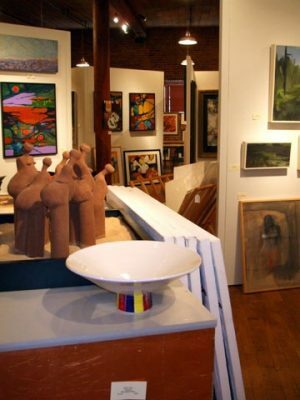 The gallery may be visited during regular hours at Studio 4 in the Tapp’s Art Center in downtown Columbia. Visit etc.studio / gallery of art on Facebook. 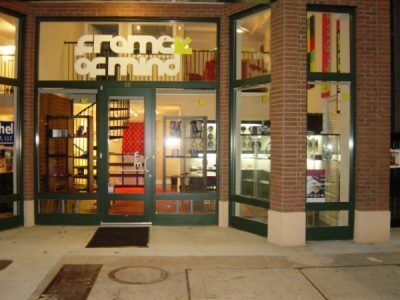 Frame of Mind is an optical boutique/ alternative art venue. We specialize in exclusive european eyewear, with brands such as Theo, Anne et Valentin, IC Berlin, and FreudenHaus. Our eyewear is the most unique and has the highest quality that you can find in the state of South Carolina. The alternative art venue part of our business was created to help get exposure to talented local artists. It is designed to offer a space that is non traditional for most artist (aka not an art gallery) and includes the opportunity to cross the boundaries of the art scene. The openings typically feature a visual artist with some form of a performance artist (for example, paintings on the walls with poetry being read by some of the areas top poets). Frame of Mind’s goal is to merge art and eyewear together. To show people that they are, in fact, one in the same. Visit Frame of Mind on Facebook. Follow Frame of Mind on Twitter. This creative center is in a home, a 120-year old Historic Victorian House located just 5 minutes from the Downtown/Vista area. This spacious, beautiful house provides students with the inspiration they need to spread their artistic wings! Amanda Ladymon has been an art educator for over ten years, working with children and adults. She is an artist, writer, organizer of educational programming, teacher, and a full time mom. Amanda is the owner of Ladybug Art Studios, a home-based creative center for art and education working with local non-profits and the community. Columbia’s Main Street Community Arts Center. 31 Artist Studios. 300 linear feet of Gallery Space. Multi function performance/event venue with seating for up to 200. Visit Tapp’s Arts Center on Facebook. Vista Studios/Gallery 80808 hosts art exhibitions and more. One Columbia for Arts & History is a non-profit organization formed to support and promote tourism with the goal of raising the quality of life for our citizens and further enhancing our vibrant downtown. Copyright © 2019, One Columbia for Arts and History, Inc., All rights reserved.